Many different plant species found in Oregon are toxic to humans and animals, but only a few are most commonly encountered throughout the state. Some of the poisonous plants in Oregon are toxic if eaten, while others are poisonous when touched, having “dermal toxicity.” Some of the plants are also more deadly than others. Nightshades (Solanum spp. ), or belladonnas, are toxic plants that are commonly found in Oregon, although they aren’t natives. 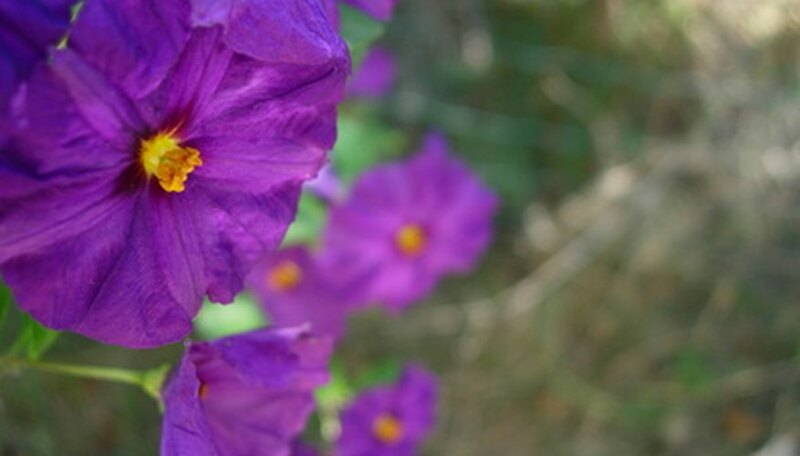 Nightshades are most often found growing in shady areas, such as woodlands, and have a distinct foul odor. They bloom during late summer with purple and yellow flowers, producing bright-red, berry-like oblong fruits. The vines, roots, leaves and fruits are all highly poisonous if eaten, causing increased pulse rate and even paralysis. Touching the nightshade plant can also leave toxic residues on the skin. Oleander (Nerium oleander) is a small tree or shrub that can reach up to 30 feet in height. The oleander has dark-green, alternately arranged leaves and blooms in white, yellow, pink or red flowers. 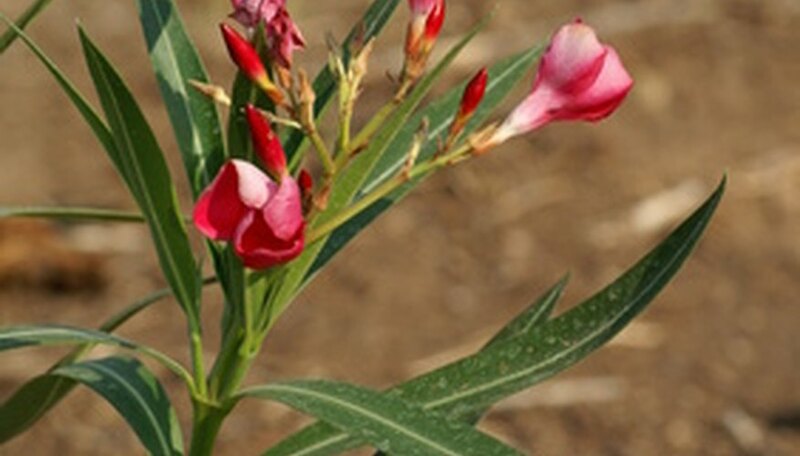 Oleanders produce brown, pod-like fruits that contain numerous tiny seeds. All parts of the oleander are poisonous if eaten, but especially the leaves, stems and branches. Burning the wood can also release toxic fumes. The castor bean (Ricinus communis) is often found growing in the more temperate regions of Oregon. Castor bean plants have large, star-shaped leaves that grow in an alternating fashion along the stems. The bean-like fruits emerge in clusters at the topmost part of the plant with large seeds. All parts of the castor bean plant are poisonous if ingested, but the seeds are especially toxic. Consuming as few as two castor bean seeds can be fatal. The water hemlock (Cicuta maculata) is a perennial herb that grows up to 6 feet tall with hollow, bamboo-like stems that are sometimes purple or red striped. The water hemlock is extremely toxic if ingested, especially the roots and seeds. The roots ooze a poisonous, yellow oil when cut. Poison hemlock (Conium maculatum) is also highly toxic if ingested, even in small amounts. Poison hemlocks are biennial herbs with smooth, hollow stems that are often purplish and striped or mottled with red. The poison hemlock can grow up to 8 feet tall and, like the water hemlock, blooms in small, flat-topped clusters of tiny white flowers. Poison and water hemlocks are commonly found growing in wet or moist areas, such as on stream banks, in ditches and along swamps or wetlands. Poison oak (Toxicodendron diversibba) has compound leaves comprised of three leaflets and arranged alternately along the stems. The leaves are lobed and oak-like. Poison oak grows in a bush-like form and produces waxy berries that turn from green to white or yellow to gray. Poison ivy (T. radicans) is similar to poison oak, but its leaves are smooth, non-lobed and serrated along the edges. 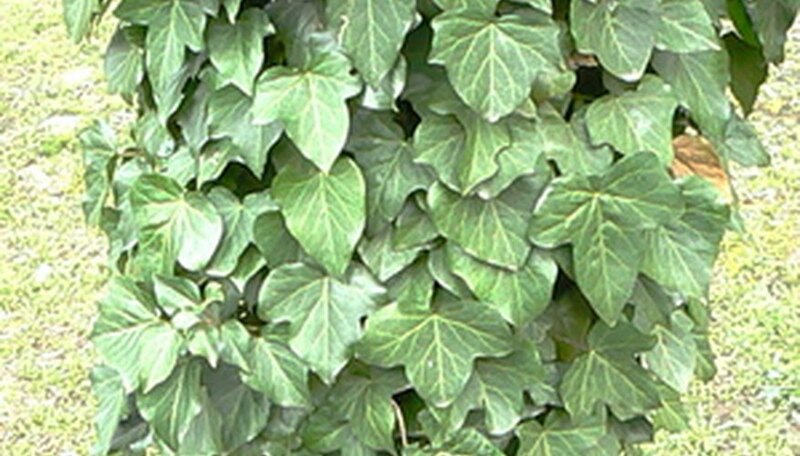 Poison ivy grows in a vine form along the ground or up trees and structures. Both poison oak and ivy are toxic, causing sometimes severe dermatitis after contact with exposed skin. Burning the plants can also release the toxic plant oils and carry them in the wind, irritating the eyes, skin and throat. What House Plants Are Poisonous to Animals?